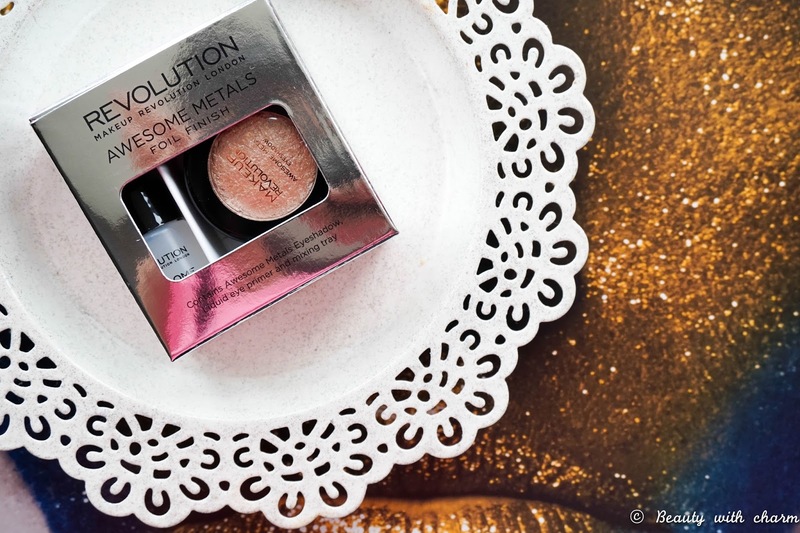 The Makeup Revolution Awesome Metals Foil Finish Eyeshadows have been around for quite some time now, they certainly aren't a new addition to the brand but one that I have been eyeing up for quite some time now. 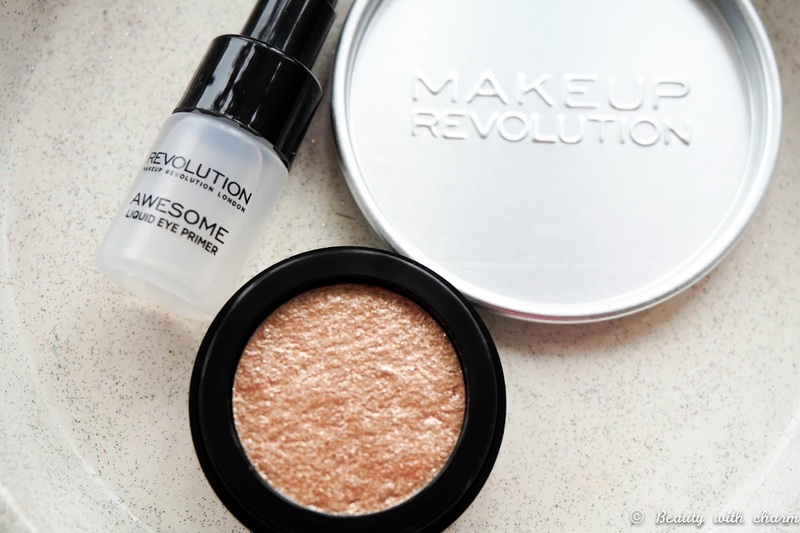 With my last Makeup Revolution order I decided to bite the bullet and finally order one in the shade Rose Gold, because if you can't drool over rose gold eyeshadow then what is life (I joke…kinda). The eye foils are reasonably priced at £4 which includes the mixing tray, mini Aqua Seal primer and the actual intense pigment in your shade of choice. There were originally 5 shades released but for some reason I can only see four shades to choose from on both their website and Superdrug too. One of the reasons why I haven't bought this sooner is my worry of how complicated this would be to apply and just how time consuming it would be, because let's face it as soon as you look at the packaging you immediately know it's not something you can just apply in 5 seconds max. Well now that I've experienced the product I can definitely guarantee that this is a very time consuming product and applying it right takes a lot of effort as well as practice. 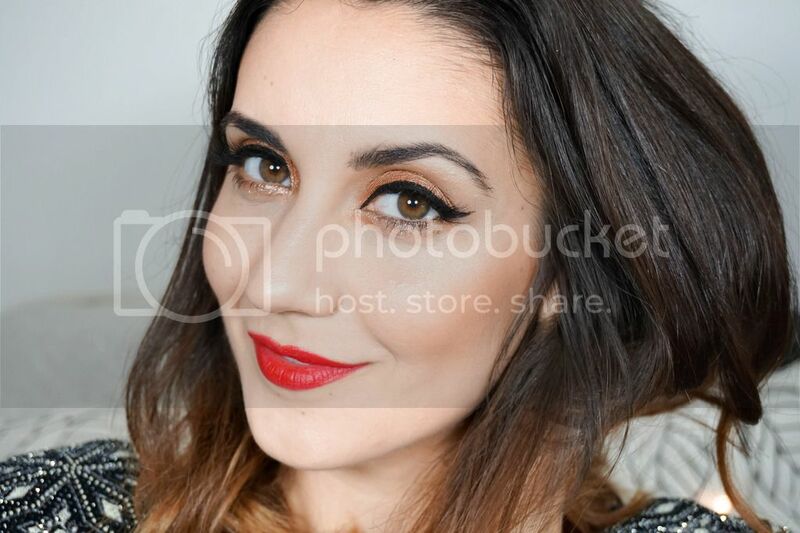 Applying too much can leave your eyelids looking extremely wrinkly (trust me I know) and applying too little means you've barely any pigment, mostly glitter. So it really is a matter of getting to grips with the products and how to mix it effectively for a smooth application. 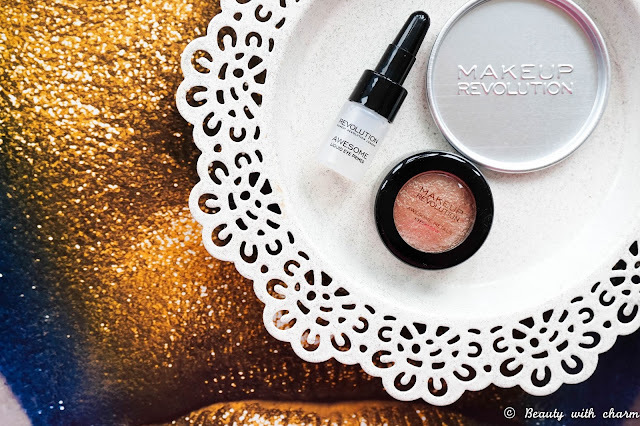 Personally I don't have the luxury of having that kind of free time on a more regular basis when it comes to makeup, so this product is definitely one for special occasions. For the price I payed I don't mind that at all as even using it a few times means I get my money's worth. Your lifestyle & how much time on average you spend doing your makeup is just good to note when you are buying this product to avoid disappointment. One way that I have found the product to fit into my life is by lightly tapping the pigment with my finger in the centre of my lid when I'm creating a smokey eye look and I want to add a bit of glitz. You're not supposed to use it this way (the instructions are completely different) but it works so why not experiment. The Aqua Seal primer that comes with it is amazing, I really like how well eyeshadows look once this is applied so I wild definitely be using this with my regular makeup looks too. 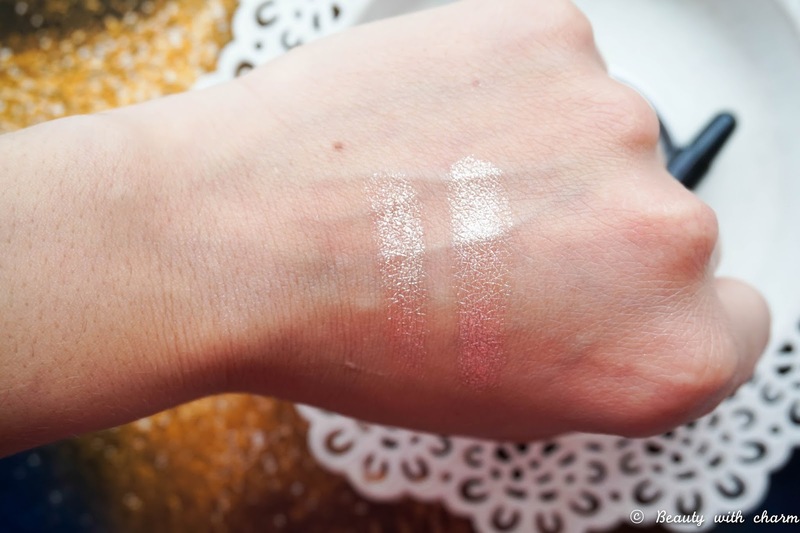 The first swatch is just pigment on its own & second swatch is pigment mixed with the primer. I'm glad I finally got my curiosity out of the way and gave this product a try, even if it isn't the one for me I can't deny that it's a fantastic product for the pricey you pay. I'll be posting a makeup look with this foil on Saturday so do keep an eye out for that so you can see exactly what I mean when I say this gives you all the bling and a bit more. Till then I'd love to know if you've tried theses eye foils and if you agree on them being completely time consuming to apply?